In case you’ve been in a coma and also living under a rock, there is a little event happening right now in Brazil called the World Cup. Milan have eight players representing their various countries, the biggest honor for any footballer. With the tournament held every four years, it’s really a make or break (so sorry Montolivo) situation for all of the players who participate. And with the added excitement this year of it being held in such a giant footballing nation, the opportunity to entertain on a world stage is limitless. Our sometimes center back Zapata will be representing Colombia. Often called up but rarely used, it seems that he’s had more playing time for them of late. Colombia are a squad that seem to be overlooked, but I believe they have a chance to do really well this year. They face Greece today at 18:00 CEST (12noon EDT). We have two players for Ghana, both Essien and Muntari. The Black Stars are underdogs in a group with both Germany and Portugal, but look for them to challenge the United States on Monday. The veterans Ess and Sulley "The Killer" Muntari may not play all 90 minutes of every game, but will likely be valuable to Ghana for their experience. De Jong kicked off his World Cup for the Netherlands yesterday in style by playing all 90 minutes in a delicious 5-1 victory over Spain. It was redemption for both Holland and De Jong, as it was a repeat matchup of the 2010 World Cup Final, which saw Spain take the trophy. 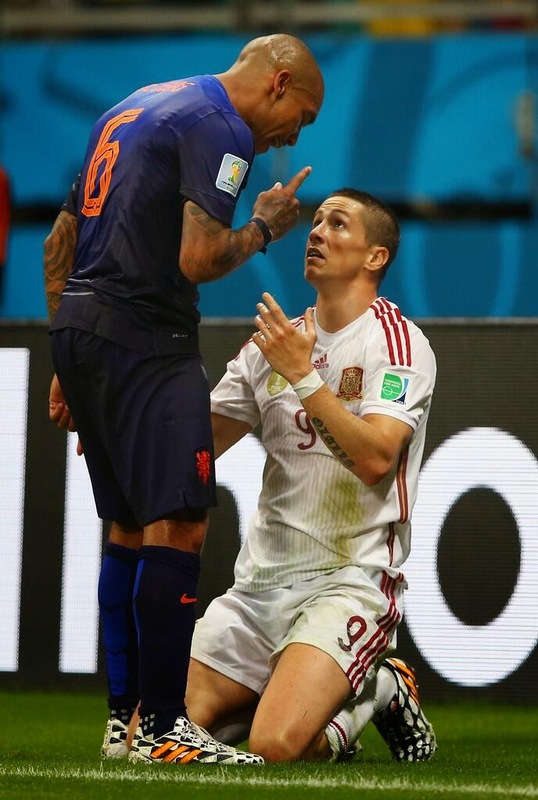 De Jong was the center of a very controversial match in that final when he was seen kicking Alonso in the chest, but not sent off, as the referee didn’t see it. But yesterday, he was the one calming everyone down when tensions ran high… in between beasting it, of course. Their next match is vs. Australia on Wednesday. Our own Honda will star for Japan later vs. the Ivory Coast. He always does well for Japan, and is eager to impress his new club coach, so look for him to shine. He will also face off against his club teammate, Zapata on Tuesday the 24th, so look for him to go big or go home. Today’s match vs. the Ivory Coast is at 3:00 CEST (Sunday) or 9pm EDT tonight. The biggest concentration of Milan players play for Italy, although their numbers are dwindling. El Shaarawy did not quite make the cut for the final 23, and Montolivo broke his leg playing a friendly for Italy and will now be out for 6 months. Of the three who made it to Brazil – Abate, Balotelli, and De Sciglio – now De Sciglio has a hamstring injury incurred in training the other day and will not feature tonight vs. England. Abate is unlikely to start as Milan youth product Darmian has really impressed of late. 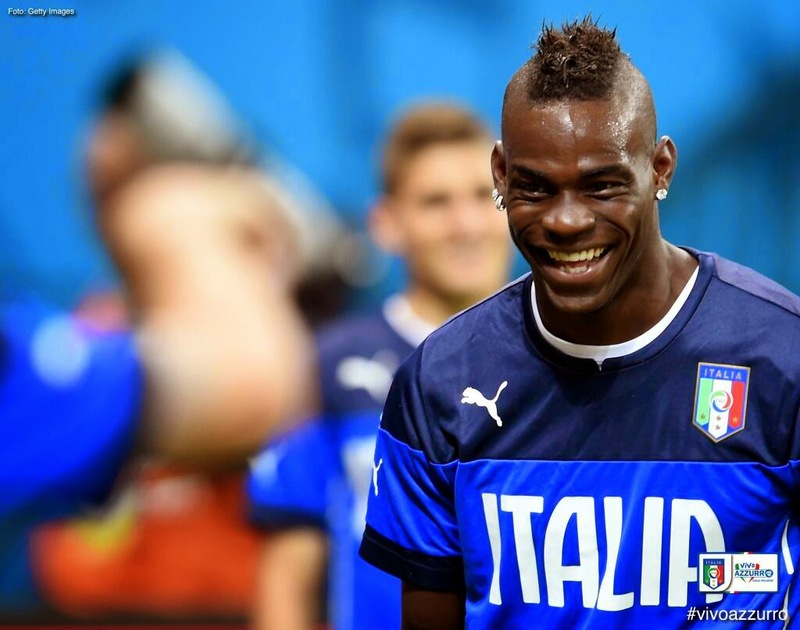 So that leaves Balotelli with the world on his shoulders, likely to be the only Milan player on the pitch tonight. Let’s hope with his ever present smiles while with Italy, the news of his engagement, and his lighthearted pranking with the squad that he is relaxed and ready to take on the world. The England vs. Italy match kicks off at midnight CEST and 6pm EDT. Maybe in the past, we’ve had more quality and perhaps quantity of Milan players at a World Cup (like when Italy won it in 2006, for example,) but that is representative of our current squad anyway. And on the world stage, anything is possible. So watch for our eight Milan players to take their opportunity to shine.